Oh, that time between New Years and Spring. 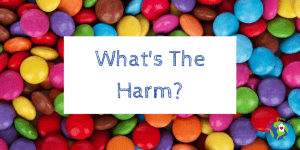 Let’s talk harmful food additives! 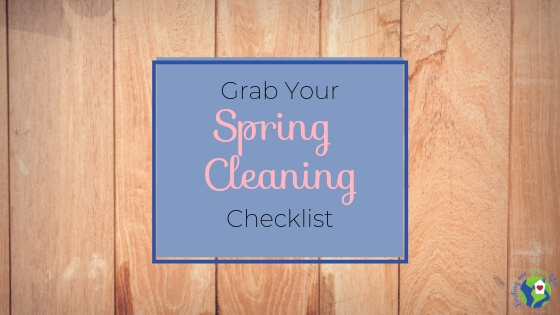 It’s the perfect time to begin purging all the crap from your life and adopting new habits. I always find that with all the excitement and business around the holidays, there’s not enough time to assess where we are and what changes to make for a healthier lifestyle. One area I always like to purge is the pantry. During the first part of January, we’re still coming off the sugar rush of the past three months. I mean really, you know once Halloween hits, it’s candy, cake, cookies, pie, junk food galore all the way through to January 2nd, at a minimum. Then we spend a few weeks being good and the Super Bowl hits. Blink your eyes and it’s Valentine’s Day. Time to pull on your big girl or boy undies and tackle the snack food. If you’ve been reading my blog for a while, you know science is not my strong suit and that it basically makes my eyes glaze over. 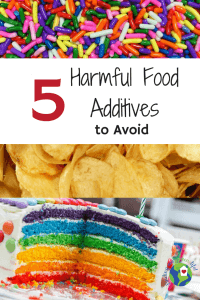 I’m going to share with you the harmful food additives I look out for when I first cleaned out my pantry and continue to keep an eye on every time I look at a new product. These are the harmful food additives I chose to focus on for my family, yours may be different. I’m going to share the basics, I promise this won’t get too technical. I will link at the bottom to some good articles that do a much better job explaining the science, than I ever could. dyes with #’s – blue #2, red #40, yellow #5, etc. Once you’ve pulled everything out, go ahead and give the shelves a wipe down. You know you won’t feel like doing that later. Aside from needing to be smarter than a 5th grader to pronounce these words, you should know they are petroleum-derived products whose purpose is food preservation. They prevent the oils in foods from oxidizing and becoming rancid. In theory, that’s good, but maybe not for your health. BHA is “reasonably anticipated to be a human carcinogen” by the National Toxicology Program and as an endocrine disruption by the European Union. While not being listed as a carcinogen in humans, BHT has been linked to cancerous tumors in rats. I’ve already had two forms of cancer, I’ll steer clear. The harmful food additives can be found in foods like cereal, chips, meat, dessert mixes, dry beverage mixes, baked good, gum, and more. The purpose of TBHQ in food is to extend shelf life. This chemical is a fat stabilizer that prevents food from going rancid. It’s so good at what it does, even the inside of the package can be sprayed with it to prevent discoloration and maintain freshness of the contents. Many studies show that it’s been linked to behavioral problems in children and a study out of Michigan State suggests it may be a trigger for food allergies. The study shows that TBHQ causes abnormal reactions in the immune system that can trigger food allergies. Perhaps this is why it’s also thought to trigger behavioral problems in children. TBHQ can be found in may fast food items, baked goods, chips, crackers, frozen meals, microwave popcorn, and more. Some days, I feel like we are all participating in one big science experiment without having given our consent. There’s no harm if you’re eating the right type of rainbow. Here’s where the rubber meets the road if you’ve got kids. Many kids are picky eaters, mine are no exception. My daughter is often willing to at least try different foods but my son, he’s a no go. Give them broccoli and they will turn their nose up but give them a neon colored drink and they’ll finish it in no time. Handful of colored candies? No problem. Handful of colorful vegetables, screeching halt! We, well probably I, made the decision long ago not to purchase food with synthetic food dyes in it. That doesn’t mean my kids have never had the #s. Before I knew much better, there were occasions (Halloween, Valentine’s Day, holidays) when we had candy with #’s in it. In my opinion, synthetic food coloring serves no purpose other than to make food not look like food. It’s linked to cancer, behavioral problems, migraines, anxiety, among a host of other issues. Stick around a young kids birthday party after the cake, ice cream, and candy have been consumed and you’ll see the evidence right in front of you. It’s not the sugar causing them to bounce off the walls, it’s all the synthetic food coloring. I’ll get off my soapbox now. Synthetic food dye can easily be spotted in candy and baked goods but it’s also in places you might not think. Kraft Jet Puff Marshmallows contain blue dye to ensure bright white. Alternatively, I discovered CVS brand marshmallows do not contain synthetic food dye. Well, not quite. Natural flavors is a catchphrase for over 2500 different ingredient combinations, most of the ingredients not being anything you’d consider a natural flavor. Lots of words we can’t pronounce. According to the Food & Drug Administration (FDA), basically, natural flavors just have to be derived from something found in nature. It’s pretty broad. The FDA does not require food manufacturers to disclose on the label, the specific ingredients contained in their “natural flavor” formulas so while “natural flavor” sounds good, you don’t really know what you’re getting. You can check out the sciency technical mumbo-jumbo right here. This one is everywhere. Be on the lookout for “natural flavors” and “natural flavoring”. These ingredients are all approved by the FDA (Food & Drug Administration) but in my opinion, there is too much scientific research showing that they have negative effects on our health. BHA, BHT, TBHQ and artificial food dyes all are petroleum-derived products. The FDA sets a limit that they consider to be acceptable, and so long as the amount contained in the product falls below that limit, it’s all good, right? Well, I’m not so sure of that. If everything you ate contained any or all of these ingredients, wouldn’t there be a build-up in your body that goes above that “generally recognized as safe” limit? You don’t have to search high and low for healthier options. Thankfully, there are plenty of options available, even at stores like Target, Walmart, Kroger, Publix, etc. It is easier now that it was even just 5 years ago to find foods that are similar to the “name brands”. One of my most favorite and trusted resources is the Environmental Working Group (EWG). They are my go-to resource for just about everything consumable. I mentioned EWG in an earlier blog post about reducing chemical exposure. You can find that here. EWG has this handy little “Healthy Living” app that you can download to your phone that allows you to scan barcodes or type in product names and it brings up all the information you need about concerning nutrition, ingredients, and processing. Contained in the app are both food and personal care product scores. You can find it here. Another option is to make treats and baked goods at home. 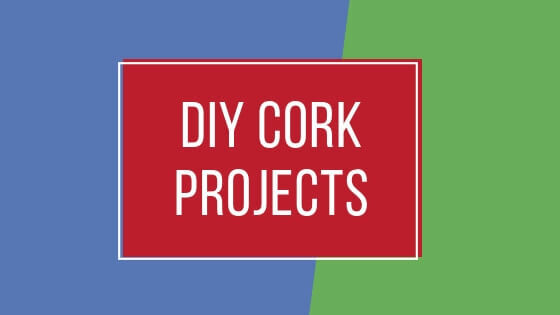 Pinterest is a great resource for ideas, come check out my “Healthier Snacks” board right here, for some ideas. The sure bet is eliminating processed food from your diet all together but, that’s pretty much not going to happen in our house. Maybe when we’re retired and live on a farm somewhere and have time to grow all our food and make everything from scratch, that will be an option. For the present, it’s not realistic. Remember, life is all a balancing act. We can’t do it all and as my daughter constantly reminds me, no one is perfect. We’re all just doing the best we can, start small and work your way up. Are you a label reader? What food additives or ingredients are on your “avoid” list? I’d love to hear what matters to you. Great article Heather, I totally agree. I know for a fact what dyes can do to a young boy. My son would eat skittles or starburst and he would be climbing the walls. I have definately changed the way I buy and cook food. I always read the label, that is so important, to know what you are pitting in your body. Also, companies can their ingredients all the time to make it cheaper and the consumer does not know this unless you read the label. Thanks Chris! Label reading can be time-consuming but once you find the foods that fit your criteria, it’s so easy to zip through the grocery store. Very informative! These are all ingredients my family avoids as well. Dyes especially have an awful affect on my 7 year old. Thanks Brandy! The dyes are so hard to avoid when you have kids because at every turn, treats are offered, from school to friends houses to sports…..